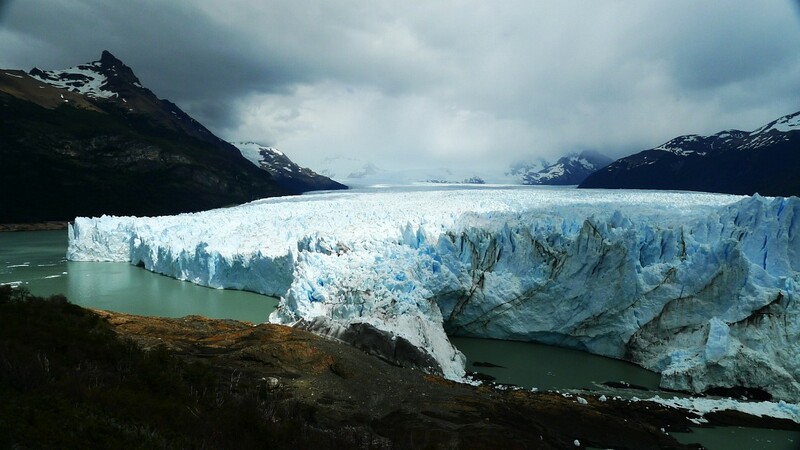 Located within Los Glaciares National Park in Argentina’s Patagonia region, Perito Moreno is one of the 48 glaciers fed by the Andean Southern Patagonian Ice Field - the third-largest reserve of freshwater in the world. 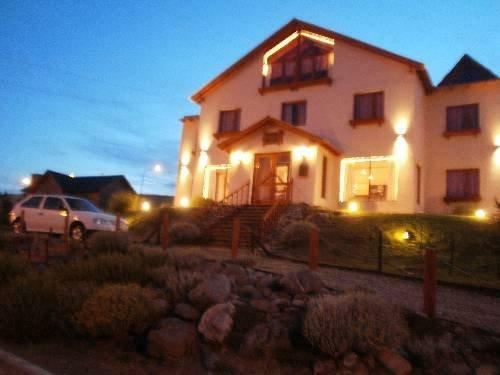 It lies 48 miles (48 miles) from the town of El Calafate, within Santa Cruz Province, and was named after the explorer, Francisco Moreno , who proved influential in defending Argentina during its conflicts with Chile over border disputes. 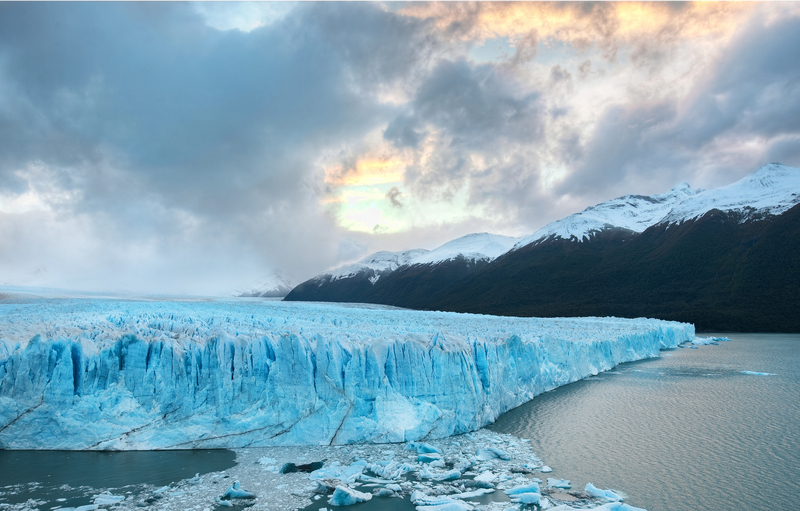 Perito Moreno is one of the world’s most iconic glaciers and easy access mean that it is visited by thousands of tourists every year. 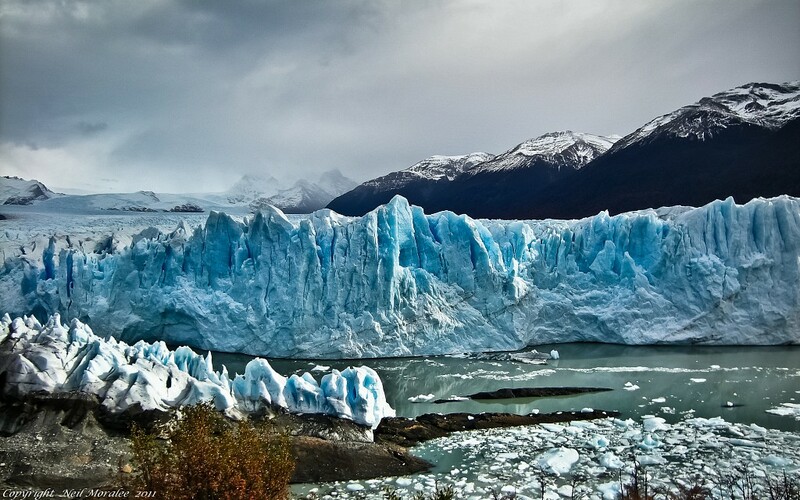 Perito Moreno is 3.1 miles (3 miles) wide and rises to an average height of 243 feet (240 feet) over the surface of Lago Argentino at its base, and protrudes to a total depth of 558 feet (558 feet). It covers a total area of 97 square miles (97 square miles). 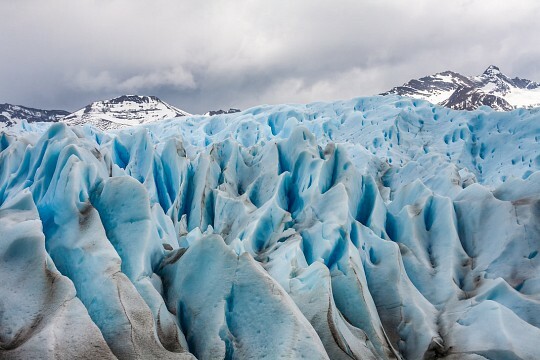 The weight of the ice is slowly pushing the glacier over the southern arm of Lago Argentino, gradually damming and separating it from the rest of the lake, and causing the waters here to rise by as much as 98 feet above the rest of the lake. 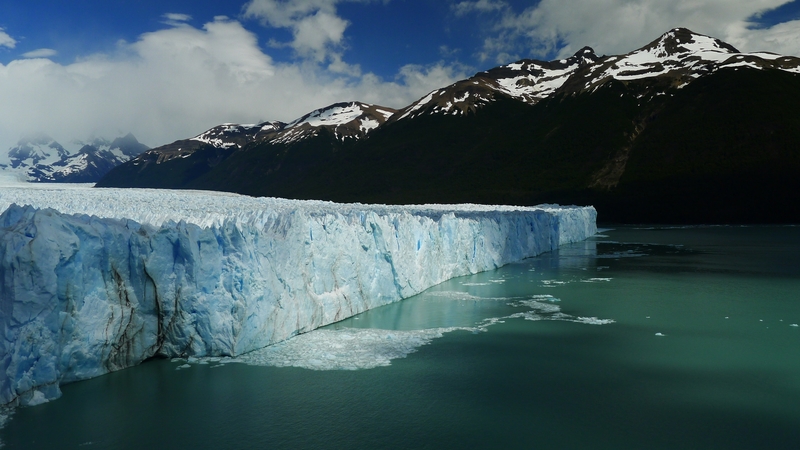 Perito Moreno is currently one of Patagonia’s three glaciers which are growing, rather than receding. 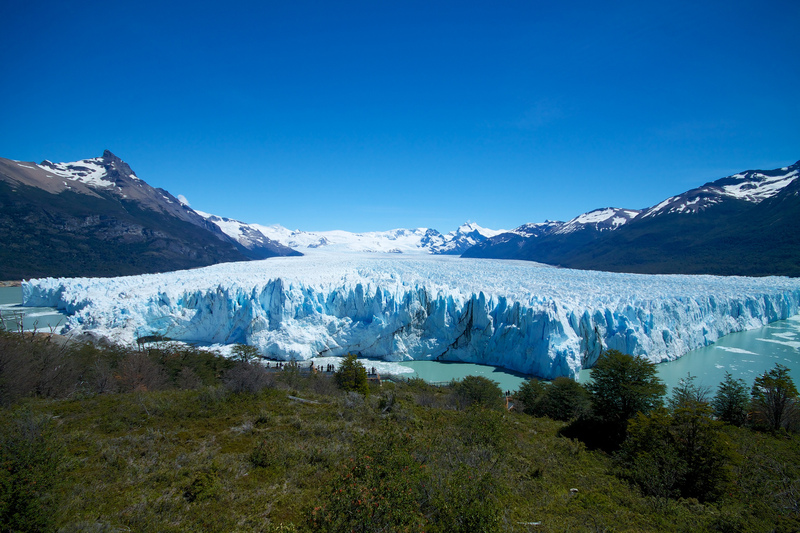 Perito Moreno is easily accessed and you can drive from El Calafate right up to the Visitor’s Center at the edge of the glacier’s face. 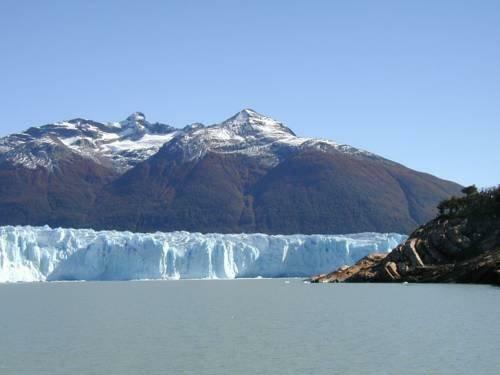 There is a network of wooden boardwalks along the southern and eastern sides which offer close-up views of Perito Moreno’s soft blue ice and formations, as well as its huge body which protrudes behind. The walk can get very busy in the middle of the day when coaches full of other tourists arrive from El Calafate, so try and visit either early in the morning or late in the afternoon to avoid the crowds. It’s also possible to trek on the glacier, with guided tours that range from 1 and a half to 5 hours. Crampons and poles will help you to negotiate this precarious landscape of crevasses and caves, experience its soundtrack of ice moving beneath, and capture incredible photos. 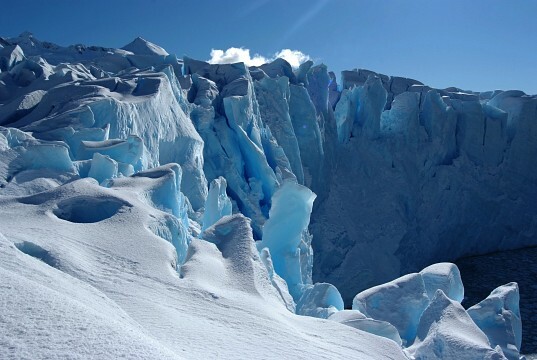 Glacier trekking can be dangerous and should never be attempted without a guide, but there are plenty of tour companies in El Calafate who can assist. 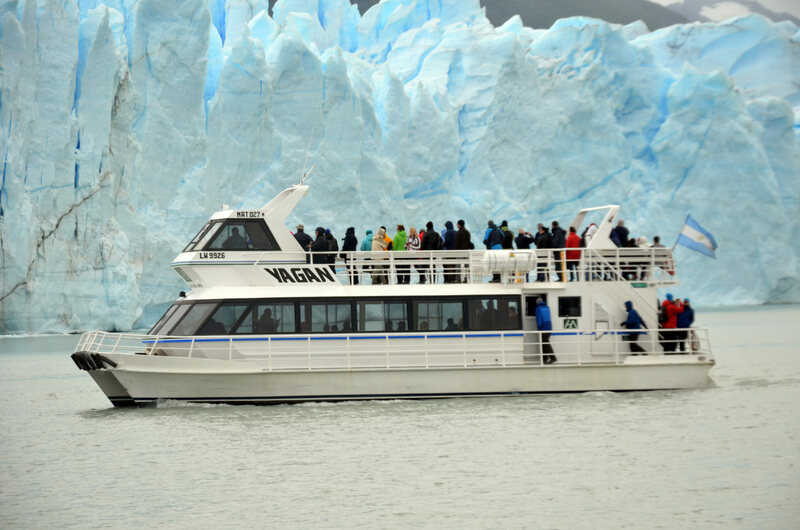 Most tours departing El Calafate include a boat trip on Lago Argentino to the base of Perito Moreno’s glacial face, from where the groaning and cracking can be heard most vividly. Drift between floating icebergs of brilliant hues of blue and witness huge walls breaking from the glacier face and crashing into the water around you. 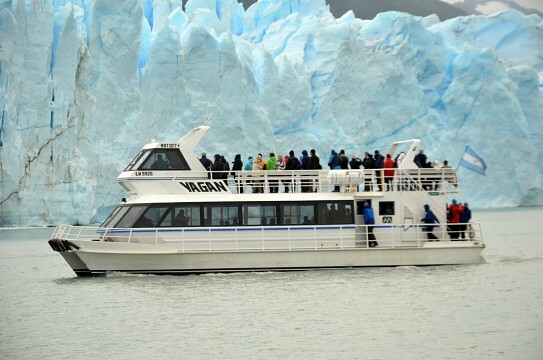 If you are not on a tour, boat trips depart throughout the day and tickets can be purchased from the Visitor’s Center. 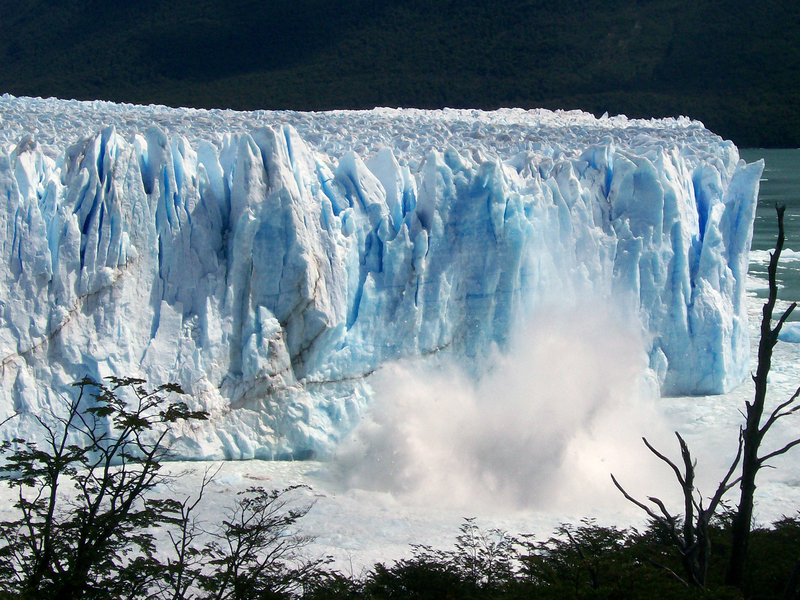 Occasionally a spectacular rupture occurs when pressure in the dammed section of Lago Argentino becomes too much and breaks through the ice barrier which has built up. This results in a massive outpouring of water into the main body and occurs, at its most frequently, once a year, with the last rupture on January 19th 2013. 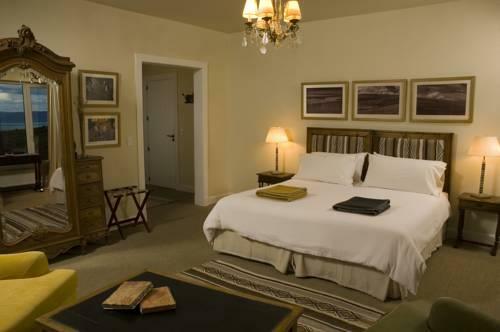 El Calafate is the designated tourist hub for Perito Moreno and Los Glaciares National Park, with plenty of accommodation and restaurant options to choose from, as well as souvenir and artisan shops. 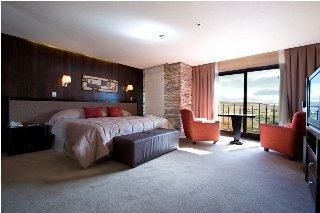 It is around two hours' drive from the Visitor’s Center and there are daily tours departing to Perito Moreno. 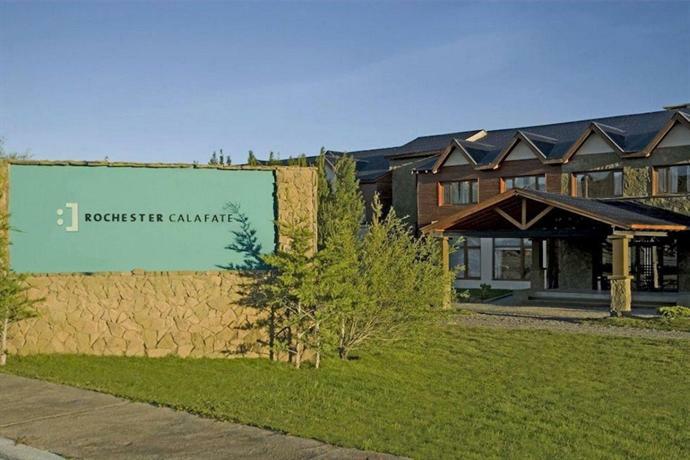 El Calafate is also home to the Glacial Museum, a newly built structure that details the geology, history and ecological significance of glaciers through exhibitions, with a particular focus on Los Glaciares National Park. It is located just outside of El Calafate and is worth a visit before visiting Perito Moreno to understand what you are witnessing. 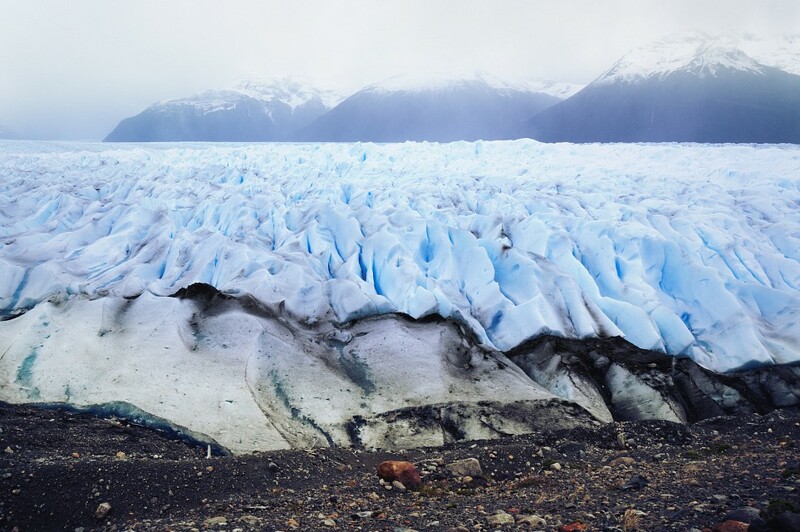 If you want to explore more of the landscapes surrounding Perito Moreno then there are plenty of hikes to embark on (both guided and un-guided) or 4x4 tours which offer incredible views of Lake Argentino and its iconic glacier. There are some viewpoints where, on clear days, you can see all the way to Fitz Roy in the north of Los Glaciares National Park, and the Torres del Paine National Park in the Chilean region of Patagonia. 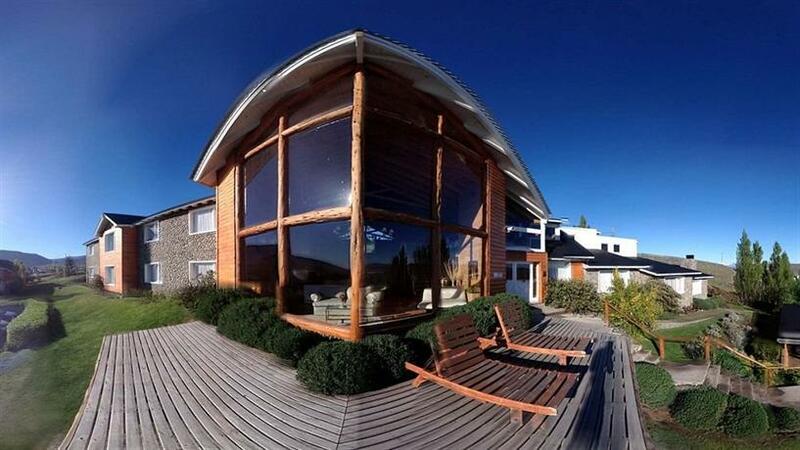 Tour companies in El Calafate offer a range of excursions throughout Los Glaciares National Park.